We’ll be at O’Reilly AI Summit this week. This is how we expect it to go, because this is how many conversations go for us at conferences. ...to the second floor. We’re growing. And we’re starting to feel the pain. Recently, we’ve had to take over the second floor of our east side Austin offices. Now we’ve got more conference rooms, seating areas, desk spaces, and breakfast tacos. 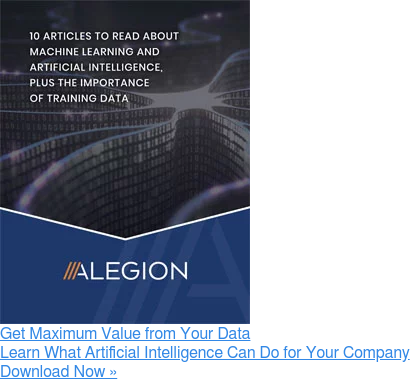 Our customers - mostly Fortune 1000 organizations - are in some stage of a machine learning project. And it's early days, even in these very large and well-funded organizations. There aren't a lot of ML models in actual production today. We participated in an AI event during last week’s South by Southwest Conference (SxSW) that perfectly captured the Austin experience. Capital Factory, a local incubator, hosted a Saturday night AI Mixer. The event gave local AI companies the opportunity to showcase and demo their solutions to SxSW attendees. We were invited to co-sponsor the mixer by our friends at Kung Fu AI, an Austin-based AI strategy and development services firm. We know how hard it is to prepare training data for machine learning projects. We’ve been labeling and annotating training datasets for enterprise data science teams for years. The promise of AI for a business is irresistible. Increased efficiencies, cost savings, improved customer satisfaction are too attractive to ignore. So of course your board has just set a mandate of “integrate AI into the business”. The local Austin machine learning community will be busy this week.